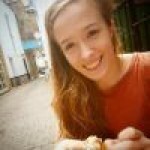 Hiking is great for getting outside, appreciating the great outdoors, and there are many different places to hike across the UK which will suit a range of abilities. Many of us might not think of hiking as a dangerous activity, and generally it’s not; except if you’re not prepared and the conditions turn. A fun day out can soon turn into a nightmare. After all they, as they say, ‘fail to prepare, prepare to fail’. 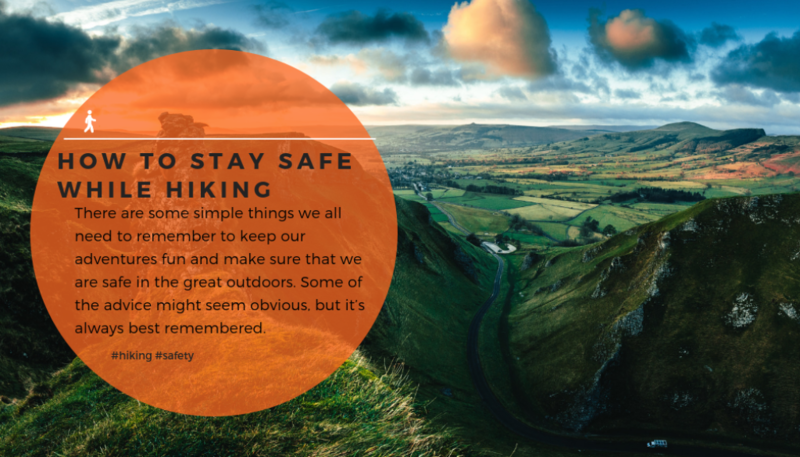 Therefore, there are some simple things we all need to remember to keep our adventures fun and make sure that we are safe in the great outdoors. Some of the advice below might seem obvious, but it’s always best remembered. It might sound like common sense, but we have been amazed at the number of people who venture out on strenuous hikes so underdressed. Even if it’s a sunny summer day when you start, if you’re hiking up a fell or munro it might be very different conditions by the time you reach the top. Hypothermia is a risk that you should never underestimate as it has the potential to be fatal. We recommend lots of light weight layers so you can put them on or take them off easily throughout the day. It’s best to wear breathable, quick-drying clothing too (no jeans!). If you get caught out in the rain it can make the rest of the day unpleasant if you are stuck in soaking clothes which rub. When you’re hiking it’s likely you will encounter a variety of terrain. From boggy lowlands to scree and steep inclines, it’s important you get your footwear right. Heading out in a pair of casual trainers might seem like a good idea but you run the risk or sore and wet feet, or worse, a sprained ankle. A waterproof hiking boot with good ankle support is the kind of shoe you need, but your local outdoor shop should be able to give you more detailed advice. Additionally, it’s important you wear in your shoes before undertaking a long hiking adventure. Suffering from blisters is a sure way to ruin an otherwise good day. Unless you know the local area like the back of your hand, we would always recommend mapping out your route before leaving the house. Important things to consider are your starting and end points, what kind of distance you are planning to cover, what the terrain is like, and how long you are expecting it to take. Be realistic with the distance you can cover, and the time it will take you. Your hike may end badly if you find yourself miles from the endpoint, exhausted and with night approaching. If you are unsure, err on the side of caution; take a shorter route, and head out early in the day. In order to plan your route, you will need an OS map. Make sure you don’t leave it at home! Even if you manage to map out a route online, make sure you still bring a paper map with you. The mountains and countryside of the UK are notorious for having poor signal and limited data coverage so don’t rely on your phone to get you through. Ideally, you should also bring a compass with you; and know how to use it. The UK weather has a tendency to be fairly wet, which doesn’t bode well for a paper map. To avoid your map disintegrating, and the ink running, you can get nifty plastic pouches which allow you to navigate even when the heavens open. A fairly essential part of any hike, by our reckoning, is plenty of fuel. It is easy to underestimate how hungry you might become after a few hours hiking out in the fresh air. Take as much food as you think you will need for the time you’re planning to be out, and then some emergency supplies on top of that. Whether you get hungrier than you expect, you drop a sarnie in the mud, or your hike takes much longer than planned; it’s always good to have plenty of food with you. In a similar vain, it’s also essential to carry a good supply of water with you. It’s easy to become dehydrated while exerting yourself, and it’s always good to have a little extra incase it’s needed. To pack these items as well as extra layers and anything else you need, make sure you have a comfortable backpack of an adequate size. Before embarking on your hike, be sure to tell someone where you’re going and roughly what time you expect to return. It’s most likely that you will not need this safety net, but it’s wise to let someone else know what you’re up to. If you get into difficulty and are unable to return at your specified time, the person you told will be able to raise the alarm. Although we all hope this will never happen it is still important; especially if you find yourself in a situation where you cannot call for help yourself. The sooner the alarm is raised, the sooner you are likely to be found and receive help. Although not always feasible, we recommend hiking with a friend where possible. Not only is it a lot more fun to have someone to share the experience with, but it is safer too. You can provide each other with motivation at low points and keep any eye out for any one who might be starting to suffer from dehydration or hypothermia. You can consult each other with navigational decisions and share the load when it comes to supplies. Additionally, if the worse were to happen and one of you were to get sick or injured, the other person will be able to physically go and get help if you are unable to call for it. There are a few extra bits that you should probably pop in your bag for safe measure. Despite mobile phones not being reliable we would still recommend bringing a fully charged phone with you just in case. A whistle is also a good idea in case you need to attract attention. Similarly, in case of an emergency, don’t go hiking without a first aid kit. This does not need to be a hefty or fancy affair. Some things we wouldn’t leave the house without are; antiseptic wipes, antihistamine, plasters, painkillers, tissues and hand sanitiser. If you get caught out and your hike takes longer than expected you’ll be thankful for a torch. In the summer don’t forget your sunglasses and suncream. At anytime of year, a rain cover for your backpack is a good idea, you can never be sure what the British weather might do.